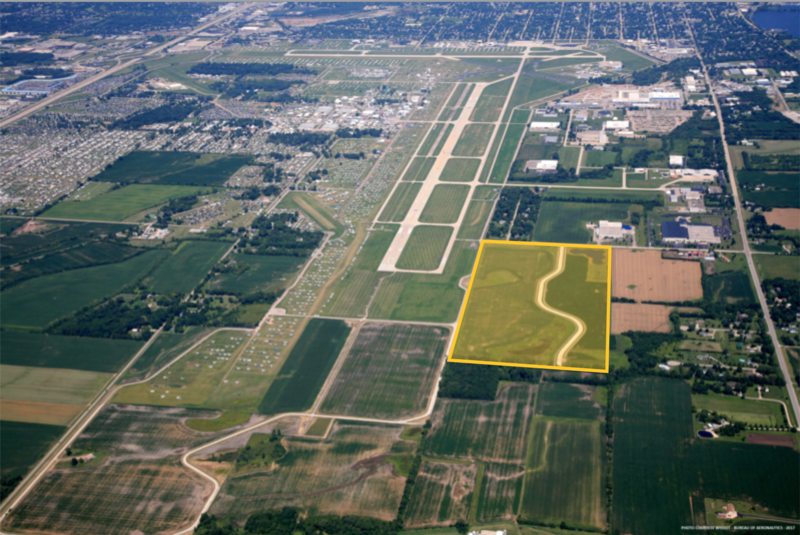 In a joint purchase in 2013, Winnebago County and the City of Oshkosh purchased 80 acres of land south of Ripple Avenue on the east side of the airport for future aviation business development. The city’s portion is 30 acres; the county’s portion is 50 acres. County-owned land will be leased to prospective aviation businesses, while city-owned land may be purchased by businesses interested in moving to the park. The 50 acres of county-owned land will ultimately have direct airport access to Taxiway A; city-owned lots will not have that access. Construction on the land and infrastructure was completed in 2014, with a paved road with curb & gutter, street lighting, and all utilities (water, electric, gas, sewer) to each lot. Play the video below for an aerial overview of the Oshkosh Aviation Business Park. Play the following videos to take a flight down Aeroinnovate Way and see both the city side and county side of land that is currently available. 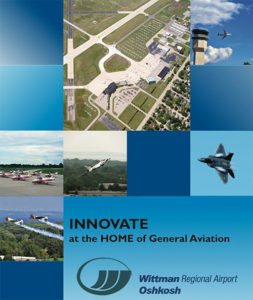 The Oshkosh Aviation Business Park is the perfect location for innovative, aviation-focused companies to make their permanent home.